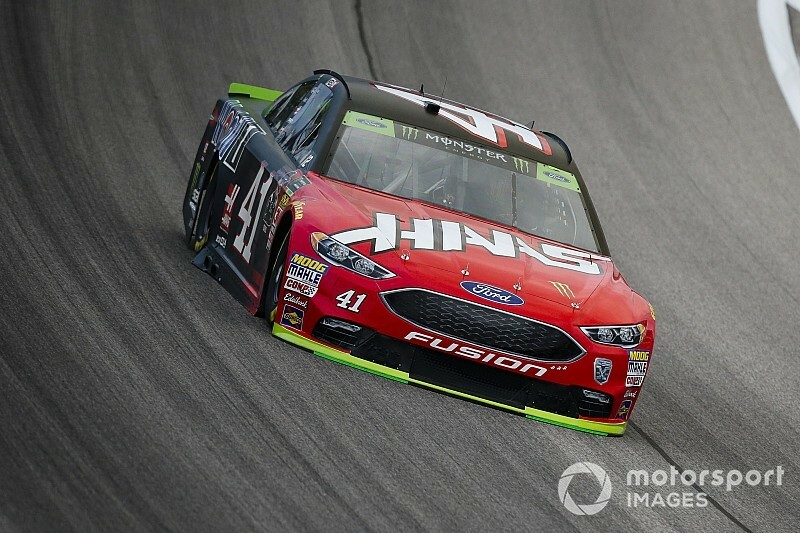 Kurt Busch was fastest in Saturday’s final practice session at Kansas Speedway, completing a Ford sweep of the weekend’s three practices and qualifying. Busch, who led the most laps last weekend at Talladega (Ala.) Superspeedway before running out of gas in overtime, posted the fastest average lap speed (186.226 mph) early in the final 50-minute practice session. Erik Jones was second (186.104 mph) and Aric Almirola was third (185.842 mph). Kyle Busch and Paul Menard completed the top-five. “Kansas has been a good track as of late for us at Stewart-Haas and, for me, I think the outside groove is really going to come into play more so than it has in years past,” said Busch, who will start 11th on Sunday. “But … it’s going to be cold. Sunday’s Hollywood Casino 400 is shaping up to be another strong day for Ford. Almirola was fastest in Saturday’s first practice, Ryan Blaney was fastest in Friday’s practice and fellow Ford driver Joey Logano won the pole during Friday’s qualifying. Rounding out the Top speeds in final practice were Blaney, Brad Keselowski, Clint Bowyer, Alex Bowman and Martin Truex Jr. In all, Ford drivers claimed six of the top-10 final practice speeds. Kyle Busch had the fastest average speed (183.094 mph) among those drivers who ran at least 10 consecutive laps. Filling out the top-five in that category were Almirola, Kurt Busch, Kevin Harvick and Jones. Chase Elliott and Matt DiBenedetto had to sit out the final 15 minutes of the session as their respective cars twice failed pre-qualifying inspection on Friday.